Just as obesity adds stress to joints in humans, the same factor is at play with family pets. Excessive weight restricts joint movement, decreases mobility and can cause other physical problems. 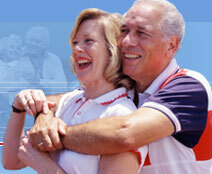 Those associated problems only add to the difficulties posed by the arthritic condition. In recent years the clinical studies have clearly implicated pet obesity as a contributing factor when trying to treat musculoskeletal problems. Excess weight damages the cartilage matrix itself, without a doubt. What the studies also reveal is that these extra pounds also alter normal cell structures in joint tissue itself. At least one major pet food manufacturer engaged in clinical trials solely aimed at gauging the relationship between hip dysplasia and the quantity of food consumed by Labrador Retrievers. Using x-rays of the hip area (coxofemoral) joints, researchers determined that those Labs who were fed excessive amounts of food not only experienced a higher rate of osteoarthritis, it was also more severe. We all love to feed our pets. When we reward them, they reward us so we are quick to reach for the food and treats. If the studies are right (and they certainly seem to bear out the conclusion) then we are really doing our little friends a great disservice. If your pet is carrying some �excess baggage�, try reducing their intake by about 25-30% a day. It�s tough because they are going to notice that they are receiving less but believe me, the long-term benefits outweigh the �fuss� they are going to make. Getting these excess pounds off your pet is not an overnight program. Much like humans, it is best accomplished slowly so plan on spending several months in most cases getting your pet down to their ideal weight. The end result is going to be a much more active animal with much healthier joints.